Canada is hoping to export billions of cubic feet per day of liquefied natural gas to Asia through plants on Canada's west coast that face none of the opposition that threatens the proposed Northern Gateway oilsands pipeline. Canada could some day export nine billion cubic feet per day of liquefied natural gas to Asia through five proposed plants on the West Coast, Natural Resources Minister Joe Oliver told a Japanese audience this week. Those major energy projects come with little of the opposition from politicians and native groups that threaten the proposed Northern Gateway oilsands pipeline. In a speech to the Liquefied Natural Gas Producer-Consumer Conference in Tokyo this week, Oliver trumpeted Canada's status as a rising "global energy leader." "[Canada is] already the third-largest producer of natural gas in the world," Oliver told an audience that included Japan's Economy, Trade and Industry Minister Yukio Edano. Oliver is visiting Japan and South Korea on a mission to drum up business for Canada's fledgling liquefied natural gas (LNG)industry and is travelling with business executives from AltaGas, Encana, TransCanada Corporation, Shell Canada and Nexen. There is a global race to get LNG into the Asian market because demand — and therefore prices — are considerably higher there than in North America. In May of this year, its price was 10 times higher on the Asian market. Adding five new LNG plants represents tens of billions of dollars in potential industrial development on B.C. 's north coast. One plant is planned for Prince Rupert. Four would be in Kitimat, which is also the proposed terminus for Enbridge's Northern Gateway oilsands pipeline. 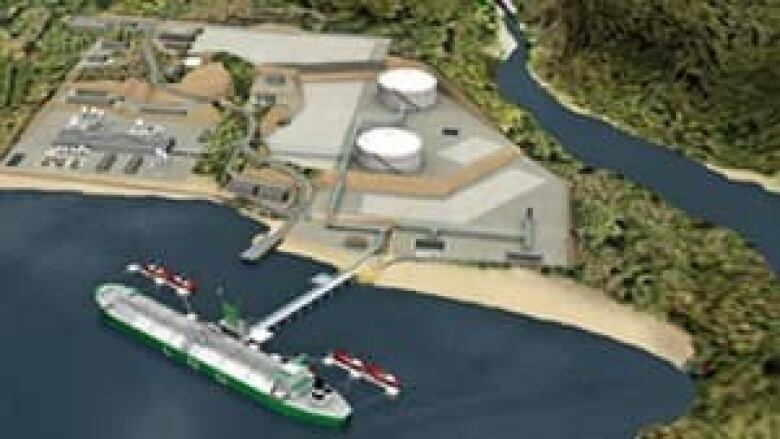 Two of the LNG projects in Kitimat already have National Energy Board-approved export licences. By comparison, Gateway is a $6-billion project. So, why all the fuss over Northern Gateway, which is tiny in comparison to all the LNG projects? The difference is in the product each project brings to market. "LNG is non-toxic, odourless, non-corrosive and less dense than water. It is a stable, low risk fuel. 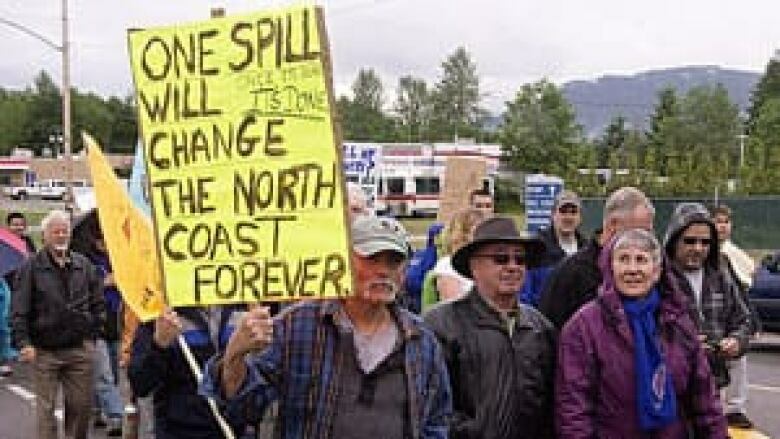 If it spills, LNG will warm, rise and dissipate," said Rich Coleman, B.C. 's energy minister, in an interview. "The risk to the natural environment is greater with [oilsands] bitumen than it is with natural gas," said John Horgan, the B.C. NDP's energy critic. B.C. politicians of all stripes also see enormous economic potential in LNG. Natural gas is a mature industry in B.C. and a major natural resource for the province. Horgan and Coleman both foresee jobs being created and royalty revenues pouring in, with the added bonus of minimal ecological hazard with LNG. "No reward, high risk with one. And more reward, less risk with the other," Horgan said. B.C. native groups are also much less skeptical of LNG compared to oilsands projects. The Haisla First Nation in Kitimat is equal partners in one of the NEB-approved projects and landlords for the other. "It was one of our requests to Joe Oliver himself to actually start supporting natural gas at the higher levels and over in Asia. So we actually appreciate this initiative," said Haisla Chief Councillor Ellis Ross. 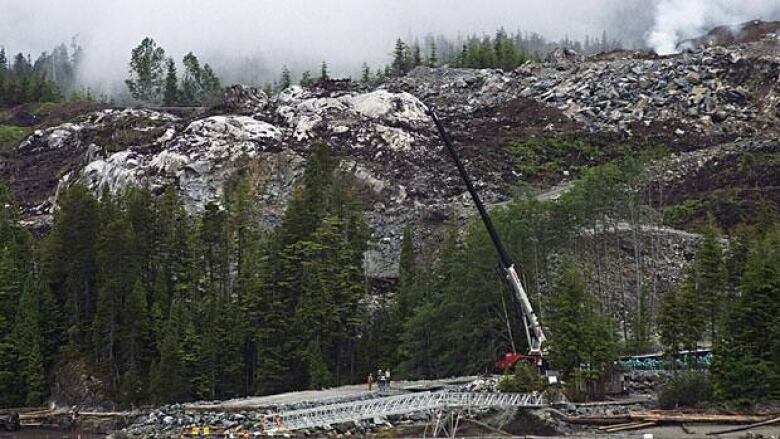 The Haisla story, when it comes to natural gas, is similar to the rest of the province's: they know the product, they've had experience with it, they've weighed the risks and benefits and they believe natural gas is the way to go. "The safety record of natural gas overall over the last 30, 40 years is actually in direct contrast to the safety record of the crude oil industry," argues Ross. He adds that in the case of a spill, natural gas would evaporate into the air. "Crude oil or diluant or bitumen stays in the environment for ... I think the jury's out on how long that actually crude oil or bitumen stays in the environment," he said.